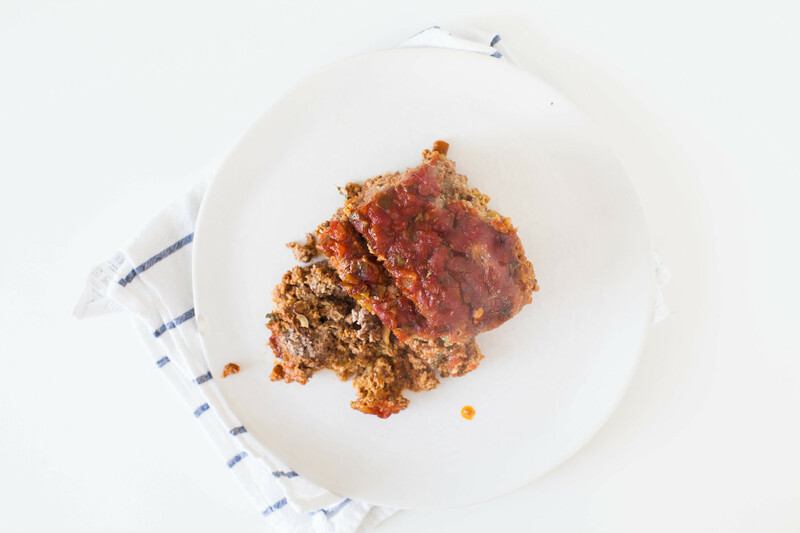 Meatloaf never makes for a pretty picture, no matter how many pressed linens or bone china plates you add to the mix. It’s sloppy, messy, brown and red (tough colors to photograph), but it’s the kind of mess I like. It’s the juices-running-off-your-chin messy. It’s the I-got-chorizo-all-over-my-shirt (this actually happened) messy. Meatloaf is the kind of food you eat standing up, fork digging into the loaf pan, mixing moistened meat with scalding sauce. It’s the kind of food that will stink up your refrigerator, but who cares? No one should judge you for the contents of your fridge. Most of the week I’m crazy busy, but I reserve Saturdays for “me” time. Now this isn’t the sort of time I use to get perfunctory work or errands done because I consider that work, rather it’s a day when I read long books, watch good movies, bake meat in loaf pans and take copious pictures of my cat pressing his vanilla paws into his face. However, lately, I’ve also been using it as a means to learn something new each week. This week a friend (and colleague) taught me how to use Snapchat, a non-intuitive platform that I abhorred using for a while. An old friend from New York and I chatted via Skype yesterday while she taught me sophisticated ad targeting techniques. Another friend taught me how to take better pictures (I’m still learning). And yet another friend reminded me about being patient, how to play the long game when it comes to my life and career. Not all of us have the means or privilege to “hunt down our passion” or “quit our day job”, but there exists nobility in finding purpose in the work that you do and then making time for the things you love to do that don’t necessary yield profit. During my recent financial crisis, where I was living off my credit card and frightened of eviction, some of my friends suggested I monetize this space. I have a fair amount of traffic and readers and I could make some decent change by adding affiliate links to the books I suggest since I tend to read a lot of them. I thought about this, albeit briefly, and shook my head no, not because I was taking a moral high ground, but rather it would make this space work. Making everything about work takes the joy out of the pursuit. Or to put it bluntly, Lenny Kravitz learned from Prince that”[e]verything isn’t for business. It’s for the sake of doing it. It’s about the art, the moment, the memory and the experience.” While I’m not suggesting I create art on the level of Prince on this space, I do get a great deal of joy coming here without the burden of being beholden to people or feeling frightened that I’m not making as much money as I should. I don’t come here with the intention of creating posts that will generate more traffic (I mean, come on, I write 1,000-word posts that have nothing to do with meatloaf). I come here because sharing the food I make, the books I read, the experiences I endured make me happy in a way that’s difficult to describe. Yesterday, I focused on learning and taking care of myself. I made meatloaf, and while you’d hesitate in wanting to take its picture, this is the kind of meal you want to be eating. I have a hectic few weeks ahead of me, and I keep saying to myself: take care, take care, take care. Preheat the oven to 350°F. Grease a 9 by 5-inch loaf pan. The original recipe doesn’t make the following notation, but trust me, it will save you agony later on. Layer the pan with a sheet of parchment paper that hangs a few inches off the sides. This will help when you want to remove your boiling hot loaf from the pan without an epic collapse. In a large bowl, combine all the ingredients except for the salsa. Press the mixture firmly into the prepared loaf pan. Pour 1 cup of the salsa on top of the meatloaf. Bake for 1 hour to 1hr 15 minutes until the meat is completely cooked through in the middle. Remove the meatloaf from the oven, top with the remaining 1 cup of salsa, and garnish with extra cilantro. My husband loves mexican food, so we do tex mex every wednesday but lately he’s been getting a little bored with the rotation we have this could be a good addition. Thanks for the idea. I love Tex-Mex! What do you guys normally make? It’s not even 10am and I’m hungry! 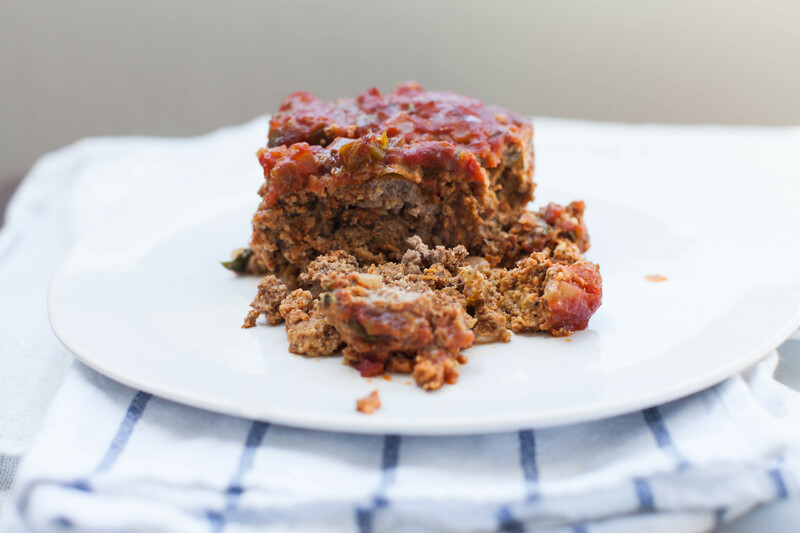 What a great twist on meatloaf! I have to try this! Thanks for sharing it! This recipe looks great! I’m on the fence as well regarding affiliate links myself as I want to maintain a non-commercial space as well. Glad to know it’s not just me debating that. the picture is great… makes the meatloaf look enticing… i. love. meatloaf. Oh goodness! This looks delicious!! 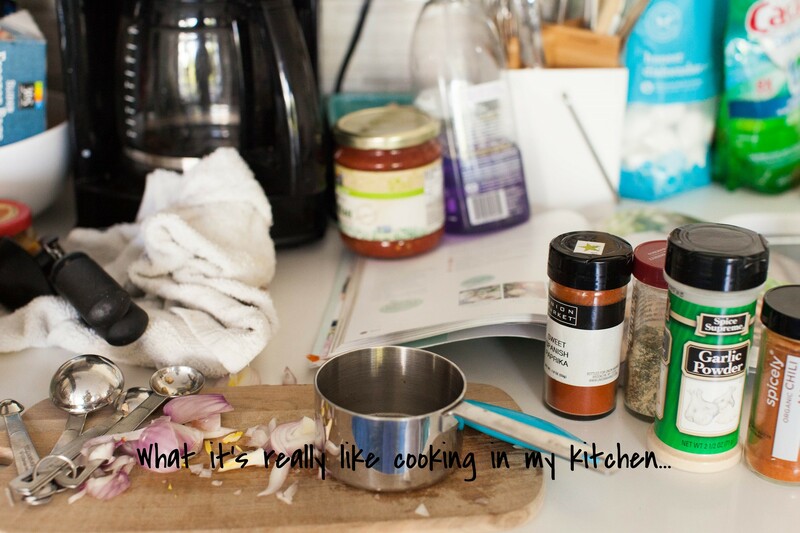 Always looking for a new way to amp up the flavour in my favourite dishes!